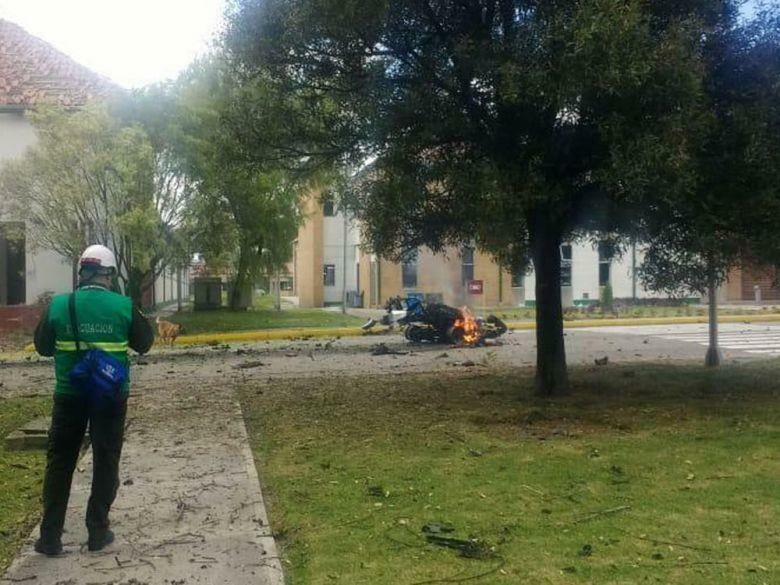 BOGOTA, Jan. 18 (Xinhua) -- The death toll from a car bomb blast outside a police academy here on Thursday morning has climbed to 21, Colombian police said late Thursday. The blast at the General Santander Police Academy in southern Bogota left 68 people wounded, 58 of whom had been discharged from the hospital, reported Agence France-Presse, citing a statement from the Colombian police. Officials quickly identified the perpetrator as Jose Aldemar Rojas, saying that in the attack, he drove into the academy aboard his 1993 gray Nissan Patrol car that was loaded with 80 kg of pentolite, a composite high explosive. Rojas died in the bombing, said the statement. "Colombia is saddened but will not bow down to violence," said Colombian President Ivan Duque, who canceled a security council meeting he was scheduled to attend in Quibdo, Choco, in order to return to Bogota. Prosecutor General Nestor Humberto Martinez said officials are investigating who ordered the bombing.